Fairview Homes is a small subdivisions with homes for sale in Breckenridge Colorado Real Estate. Located just 3 miles from Breckenridge’s historic Main Street for strolling, shopping and dining. 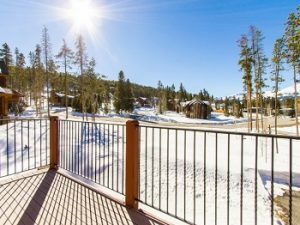 Many of the Breckenridge homes built in the Fairview Homes neighborhood have beautiful Ten Mile Range mountain and ski area views. There are only 14 lots in Fairview Homes with all of them built on. These Breckenridge homes were built between 1998 – 2013 with anywhere from 2,476 square feet to 5,445 SF and 3 to 5 bedrooms. Lot sizes in Fairview Homes start at 0.33 acres up to 0.67 acres. Fairview Homes in Breckenridge Colorado are not technically located in the Town of Breckenridge so there is not a 1.0% transfer tax. For additional information about the properties for sale in Fairview Homes or other Breckenridge CO homes for sale contact Justin and Krystal Knott with LIV Sotheby’s International Realty at 970.333.9050 or search the entire Summit County MLS on this website.